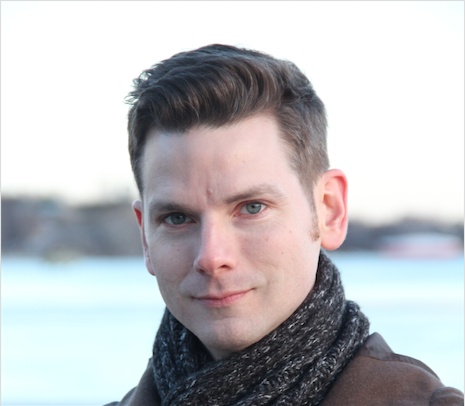 We're excited to have Caleb Roehrig here to share more about his debut novel LAST SEEN LEAVING. Caleb, what was your inspiration for writing LAST SEEN LEAVING? I had two inspirations! I wrote LSL in 2014, after reading a spate of truly excellent “missing persons” novels—GONE GIRL by Gillian Flynn, THE GALTON CASE by Ross MacDonald, THE LADY IN THE LAKE by Raymond Chandler, PAPER TOWNS by John Green, and THE SONG IS YOU by Megan Abbott—and I was itching to write one of my own. At the same time, I was eager to tackle the subject of sexuality in a YA novel, and when I put the two half-notions together, the plot for LAST SEEN LEAVING came to me. FAR FROM YOU by Tess Sharpe, AS I DESCENDED by Robin Talley, and THE DARKEST CORNERS by Kara Thomas are all top notch thrillers that I think readers of LAST SEEN LEAVING would enjoy; and, of course, I can’t let an opportunity to recommend books go by without mentioning SIMON VS THE HOMO SAPIENS AGENDA by Becky Albertalli, I’LL GIVE YOU THE SUN by Jandy Nelson, and Adam Silvera’s forthcoming HISTORY IS ALL YOU LEFT ME. They are all phenomenal. How long did you work on LAST SEEN LEAVING? I completed the first draft in about two and a half months; tweaks and revisions I went through with my editor happened in bursts over the next year, so I’m not sure how to factor those into the timeline! I suppose I would say that it taught me to trust my own point of view. Flynn Doherty, the main character of LAST SEEN LEAVING, is far more like me than any other protagonist I’ve ever written; the self-acceptance issues he deals are the same I did at his age, and they were issues I was reluctant to tackle for fear that no one would want to read about them. From this novel, I’ve learned that I can share those experiences, and that it makes me a stronger writer when I do. What do you hope readers will take away from LAST SEEN LEAVING? I guess I’m hoping they’ll take away two things. Since it’s a thriller, I’m hoping readers will get their suspense fix and that they’ll enjoy the twists and the process of puzzling out the central mystery. In addition, as it explores some important subjects that are close to my heart, I hope readers will also—regardless of whether they’ve experienced the same thing—understand and relate to Flynn’s journey towards accepting himself. I write at home, often with some caffeinated beverage or other close at hand! In the past I’ve been able to write at coffee shops, or with music playing in the background (always classical, always instrumental—anything else and I start singing along rather than focusing on my work.) However, when I’m in a particularly distractible state of mind, I’ll put my headphones on and listen to white noise. Another indispensable ritual for me is my run; I run every other day, and probably do at least 75% of my plotting and problem-solving in my head while I’m at it. KEEP TRYING. I’m not sure I know any writers who hit a home run their first time at bat, and rejection is inevitable—even for established authors. There’s a certain amount of “rolling with the punches” you need to be able to do, and learning to take constructive criticism is a must, but persistence and perseverance are your greatest weapons. Flynn's girlfriend has disappeared. How can he uncover her secrets without revealing his own? Flynn's girlfriend, January, is missing. The cops are asking questions he can't answer, and her friends are telling stories that don't add up. All eyes are on Flynn—as January's boyfriend, he must know something. But Flynn has a secret of his own. And as he struggles to uncover the truth about January's disappearance, he must also face the truth about himself. 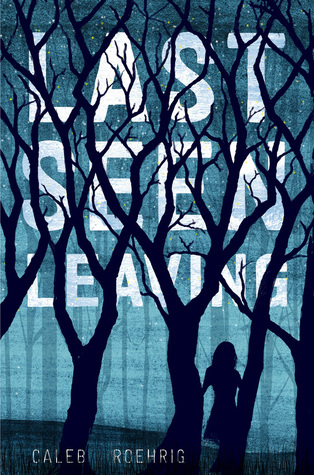 Have you had a chance to read LAST SEEN LEAVING yet? Do you trust your own point of view? Do you work out plot points while you exercise? Share your thoughts about the interview in the comments!